Get Great Looking Nails with Kitschy Names from Nails Inc.
Nail polish is a product that doesn’t really change over time, except for its colors and tweaks to ingredients. When choosing a nail polish, I look for durability over time, color options, and brush quality. Out of the U.K., I discovered Nails Inc. ($10 per bottle). Nails Inc. launched in 1999 and is the most popular nail salon chain across the pond. Think Starbucks of manicures. This polish come in a vast range of hues with kitschy landmark names like Saville Row (eggplant), Foubert’s Place (matte grey), or Tate (red); often inspiring runway trends. The application is smoother than smooth; usually requiring just one application. The finish is super glossy and won’t chip for days. 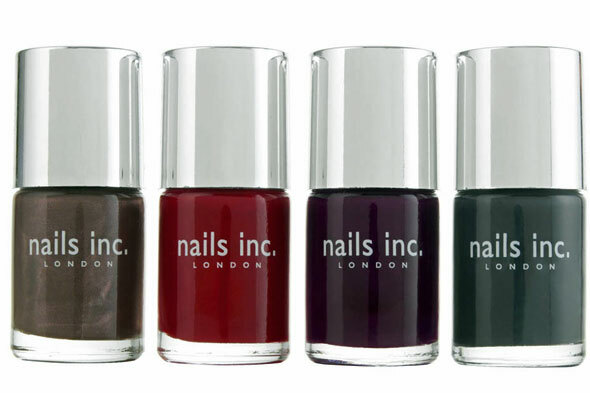 It may be a while before Nails Inc. reaches British levels of popularity in America, but you can always get a head start with this fabulous line!